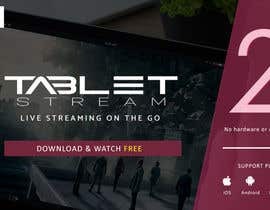 Tabletstream will be providing services similar to Netflix, Hulu, Foxtel and Vudu. 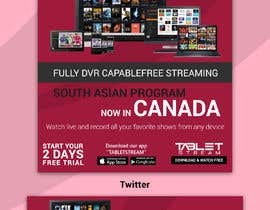 We will be starting service in Canada providing South Asian Programming. Service will be starting very soon! 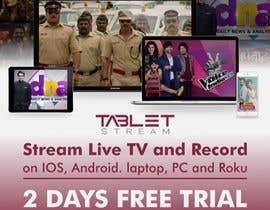 We will be offering 2 day free trial. No hardware or credit card needed. We need advertising and marketing graphics for new subscribers to learn about the services that will be coming soon. 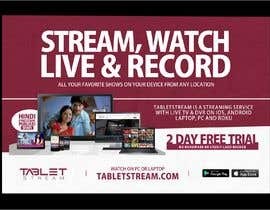 Graphics should advertise Tabletstream is a streaming service with Live TV and DVR on IOS, Android. laptop, PC and Roku . Graphics will be used on Facebook, Instagram, Twitter, and You tube. We expect to purchase multiple winning entries. We have updated the contest with some files we have used in the past. 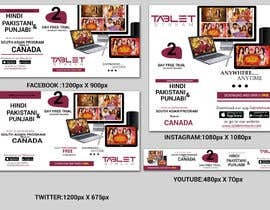 You can change these graphics to meet your design, also please come up with some original content as we will be streaming to a Hindi, Pakistani and Punjabi users. We are marketing to this group. Hello Dear, please see the entry #14 I have corrected the website address. Thanks! We have attached some Poster and Banner for design inspiration. However all the write up should be ignored.